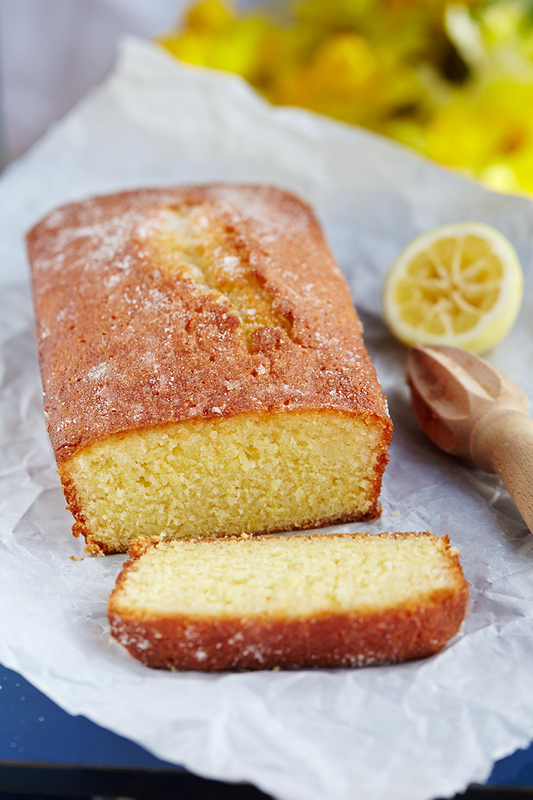 Spring is finally in the air despite the recent cold snap and lemon drizzle cake seems awfully springlike to me. I’m not really sure why but there is something about its zesty punch that just makes me think of spring. This lemon cake packs an extra lemony tang so if you prefer yours less punchy use the zest of one or one and a half lemons instead. I have been making this for years and it also works well as an 8in/20cm round cake or double the ingredients for a mega tray bake lemon drizzle cake. Preheat the oven to 160c or gas mark 4. Grease and line an 8x21cm loaf tin and set aside. Cream the butter and sugar in a stand mixer or bowl and hand whisk until pale and fluffy. Beat in a tablespoon of the flour and then add the eggs one at a time. Once all the egg is incorporated, sift in the flour and gently fold in with a metal spoon until just combined. Add the lemon zest and tablespoon of juice and fold again until just combined. Spoon into the prepared loaf tin and smooth the top to flatten the mixture. Bake in the centre of the oven for 45-55 minutes until a skewer comes out clean and the cake is golden brown. 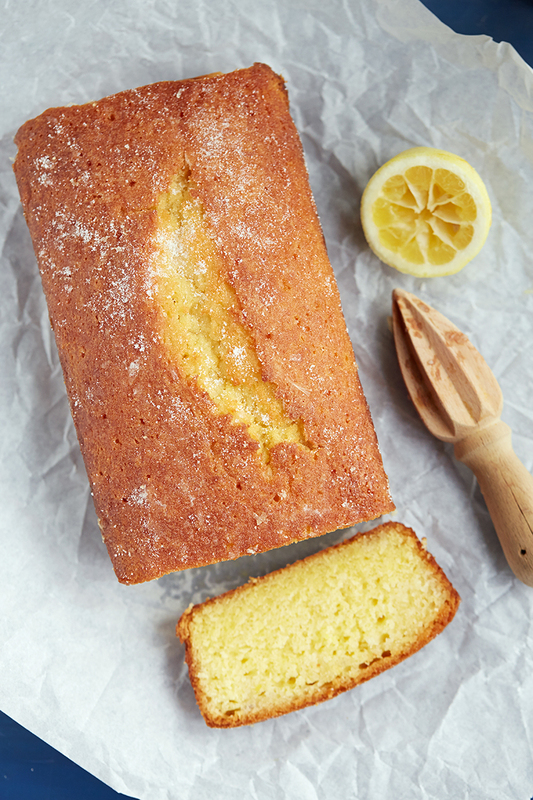 Whilst the cake is cooling in its tin, mix the caster sugar and lemon juice together. Prick the cake all over with with a skewer or fork before spooning over the lemon and sugar syrup making sure it goes in the skewer holes and all over the top of the cake. Leave in the tin until compeletely cooled then serve and enjoy. Will freeze for up to 1 month.